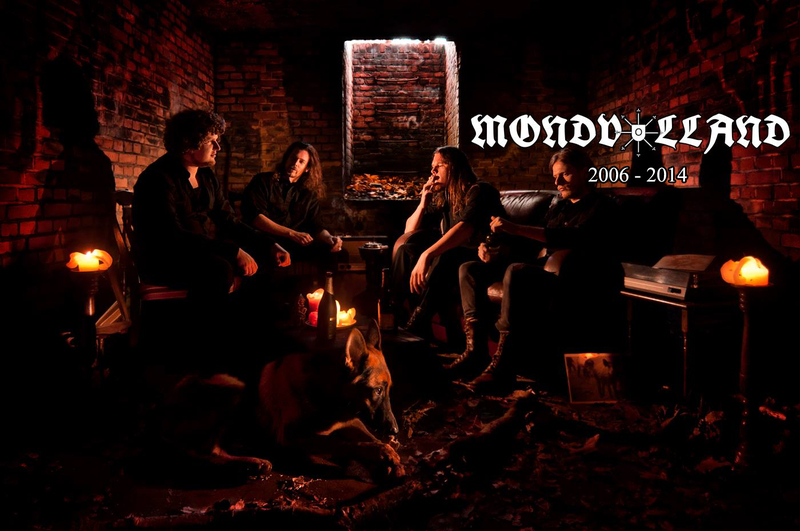 It was a sad day this past June when I learned that the Dutch band Mondvollond had decided to call it quits. Way back in January 2012 I lavished praise on Pestvogel, the band’s free, three-song EP that was my jumping on point. The title track in particular got its hooks in me, so much so that I included it in our list of 2012′s Most Infectiuous Extreme Metal Songs. The knowledge that the band would be releasing a second album made the news of their dissolution somewhat easier to bear. 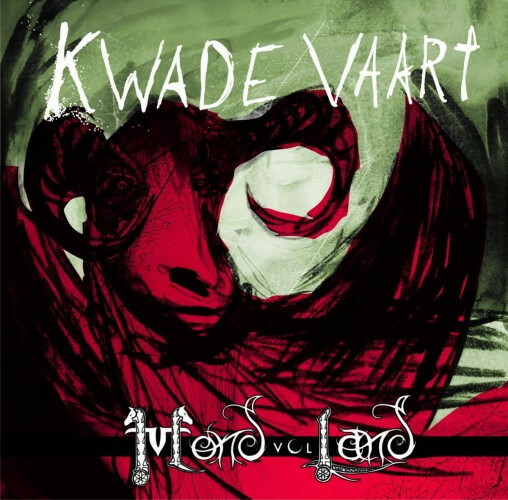 The new album’s name is Kwade Vaart and it features wonderful cover art by Bob Mollema, who also created the great cover art for Pestvogel. Two of the songs from the new album can be heard now, and they’re just as unusual and powerful as I would have expected. “Wanneer De Hemel Bloedt” begins slowly, with shimmering guitar notes, a booming bass, and clean vocals, and then rapidly escalates into a storm of tremolo-vibrating chords, thundering bass and drums, and caustic howls, with a piercing guitar melody. It’s an intense song, but no more so than the one that follows. “Broedermoord” is more than nine minutes long, built with dissonant and sometimes depressive musical motifs, and a skeleton-rattling rhythmic undercarriage. The vocals range from throaty vocals coated in grit to razor-edged shrieks to soaring clean song. It’s both moody and bloody-minded and and it grips with a very strong hand. Kwade Vaart will be released on CD and via download by Heidens Hart on September 19, 2014. But “Wanneer De Hemel Bloedt” and “Broedermoord” are not the only new Mondvolland recordings to surface this month. The band has also contributed a song to one of the Elemental Nightmares split releases — a four-song 10″ tentatively scheduled for release on September 25 that also includes tracks from Eventide, Septekh, and Eternal Helcaraxe. Mondvolland’s contribution to the split is a song named “Lelijke Vent”, which is about “a Gueldrian water creature”. Last September I posted a video of the band performing the song live, but now we have the studio recording and I’ve included it below. It includes more beautiful bass and drum work and more hail-storming guitars — as well as a skull-clobbering mid-section and a ton of vocal variety. I sure wish this band had stayed together. On November 13th, 2013, Chicago’s Nachtmystium officially announced the band had ended. During the preceding summer, however, they recorded a new album, and additional studio work was done on it this past spring. Entitled The World We Left Behind, it will be released by Century Media on August 5 in North America and August 4 in Europe/Australia/New Zealand. As you can see, it sports a very cool piece of cover art (by Peruvian artist Logan Perez). Yesterday, Pitchfork debuted a new song from the album named “Tear You Down”. The press release about the premiere includes a quote from Blake Judd stating in part that the song deals with “my ongoing relationship with heroin that I struggled with for over four years and viciousness that the drug unleashes mercilessly upon its user”. I’ve seen and heard enough lousy stories about what that addiction led Judd to do to his friends and fans that I nearly didn’t bother including the song in this collection — but then I heard it, and it’s a very good song. The music gives voice to the drug itself. At the outset, it’s slow, heavy, and bruising, but turns into a clawing tirade. There is no joy in the song, but what makes it especially memorable is a bleak, minor-key melody that lingers, like a clammy hand on the neck that won’t let go. 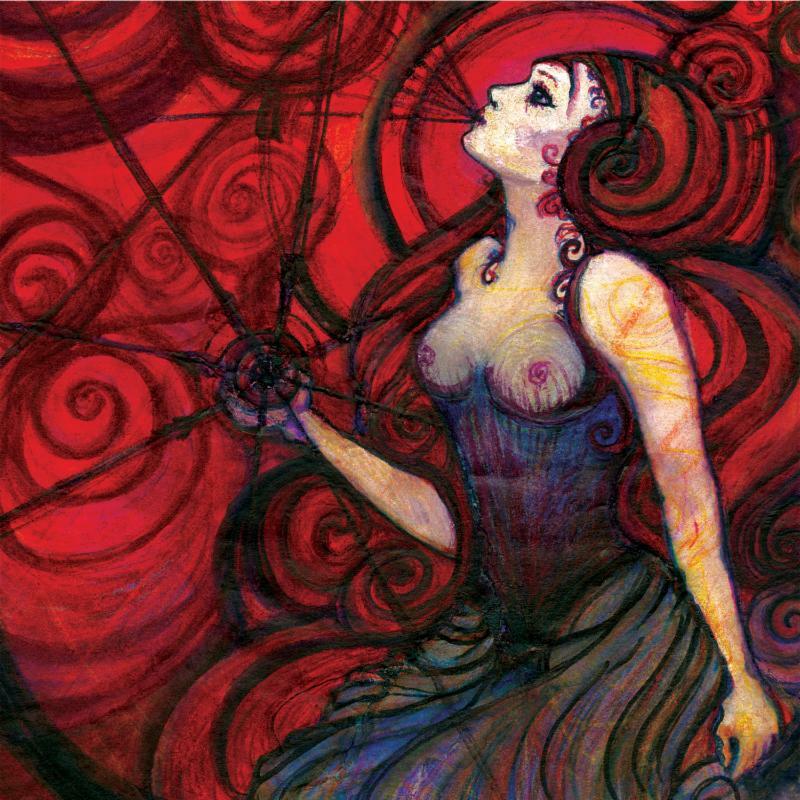 UPDATE: Nachtmystium ain’t dead after all (read this). Gonna need to keep my eye on that (sadly final) Mondvolland. Too bad they broke up. I can understand your hesitancy to include the Nachtmystium song, but I’m glad you did. It’s excellent, and I probably wouldn’t have heard it otherwise. Thanks… though I’m still feeling conflicted. The guy has ripped off so many people.